Filigree principal Josephine Gotianun Yap. 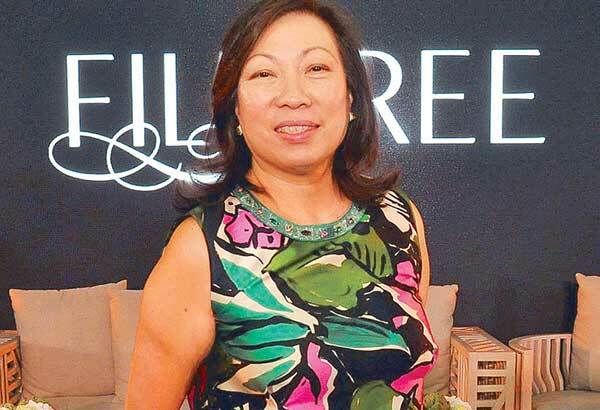 Luxury and design were the topics of conversation when Filigree, the newest luxury real estate brand in the country, was formally introduced to a select group at The Enclave Alabang’s tropical modern clubhouse. On hand to welcome distinguished guests and to lead the ceremonial toast was Josephine Gotianun Yap, one of the top leaders in the property industry today. “Filigree is my personal pride and joy, a venture that I am most proud of. In creating Filigree, we were inspired by global trends in luxury developments, offering masterpieces that are of low-density, a result of a collaboration of experts—design minds, builders and craftsmen,” she said. Spotted at the event were world-class consultants Bill Higgins of Architecture International, Juan Seriña Jr. and Raymond Hernandez of H1 Architecture, Isabelle Miaja of Miaja Design Group, Armando Casibang of AECOM and Budji Layug and Royal Pineda of Budji+Royal Architecture+Design. A sumptuous dinner was prepared by chef Margarita Fores. Filigree’s luxury property portfolio includes luxury high-rise developments such as The Beaufort at Bonifacio Global City, Bristol at Parkway Place and Botanika Nature Residences both at Filinvest City Alabang, and The Enclave Alabang, the ultimate in low-density, subdivision living.